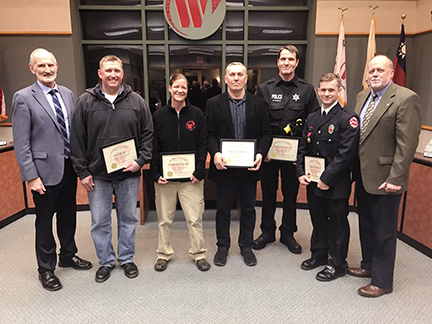 At the March 1, 2018 Village Board meeting, Mayor Ron Gunter and Manager Stephen May recognized the 2017 Public Service Award recipients which are given to the Village of Westmont employees and volunteers who have demonstrated exceptional customer service throughout the past year. Following are this year’s recipients of the 2017 Public Service Award. The Village of Westmont congratulates and thanks Alan, Melissa, Kevin, David, Jeff, and Angela for their outstanding service to the community.